A while back, I spent a whopping $5 on this 50-movie set, Sci-fi Invasion. That adds up to 10 cents per movie. 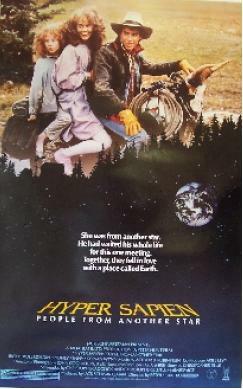 Hyper Sapien: People From Another Star, made in 1986, is yet another aliens-running-around-the-woods-outside-a-small-town movie. What makes this one different? The aliens are cute young girls! Here’s what happens: Two alien girls run away from their outer space home and go to Earth, which is where all the action is, apparently. Joining them is their adorable three-eyed pet, Kirbi. The girls meet a local teenage hunk, named Dirt (that’s right, his name is DIRT). Cue the angsty adolescent romance, just as the girls’ alien overlords are looking for them. 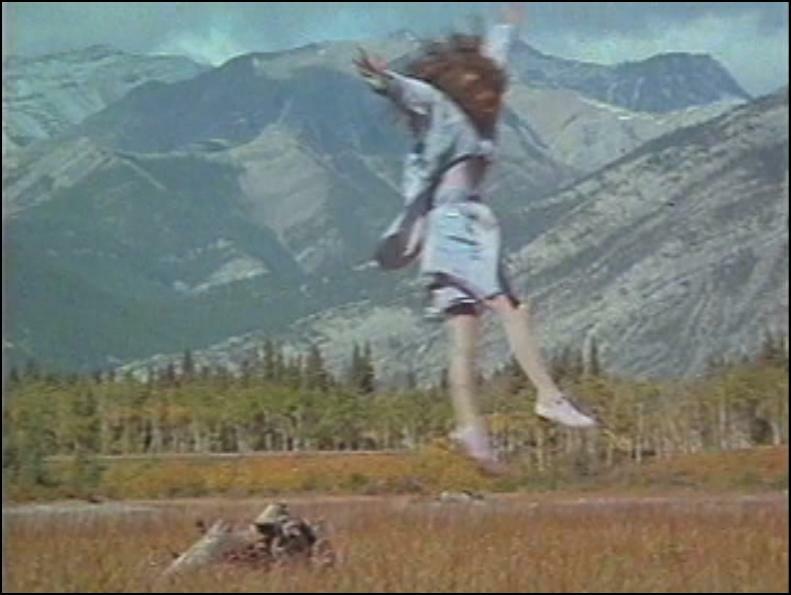 Speculative spectacle: The girls are telepathic, and able to see through animals’ eyes — just like Beastmaster! Kirbi, meanwhile, has all kinds of crazy powrs. He can drink gasoline, move incredibly fast, and shoot laser beams out of his three eyes. Sleaze factor: To procure some Earth clothes for the girls, Dirt awkwardly steals some bras off of a clothesline. That’s about as edgy as this movie gets. What the felgercarb? Not only are Dirt’s grandparents perfectly fine with aliens hanging around, but they seem to know the girls are aliens before anyone tells them. 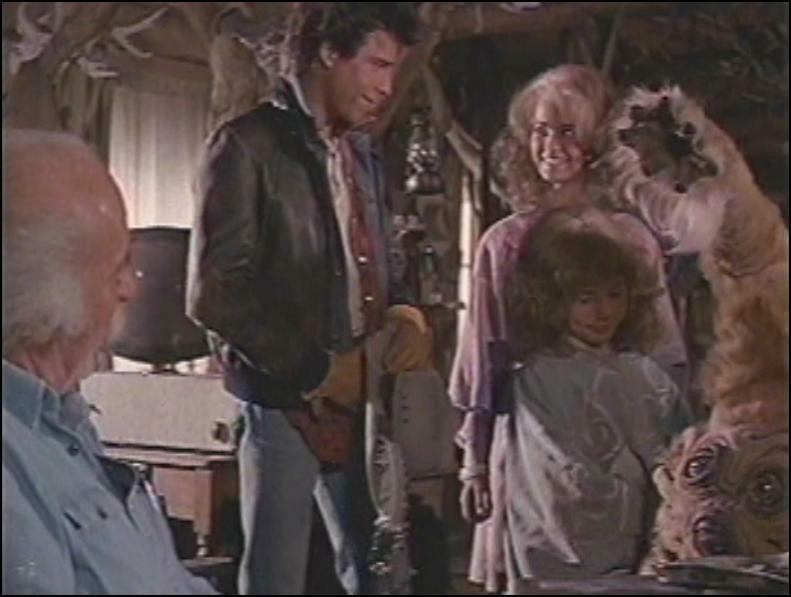 Their involvement leads to a ton of horribly unfunny slapstick shtick with grandpa hanging out with Kirbi. Microcosmic minutiae: Yes, that is Talia Shire of the Rocky movies in a small role as a doctor. Worth 10 cents? 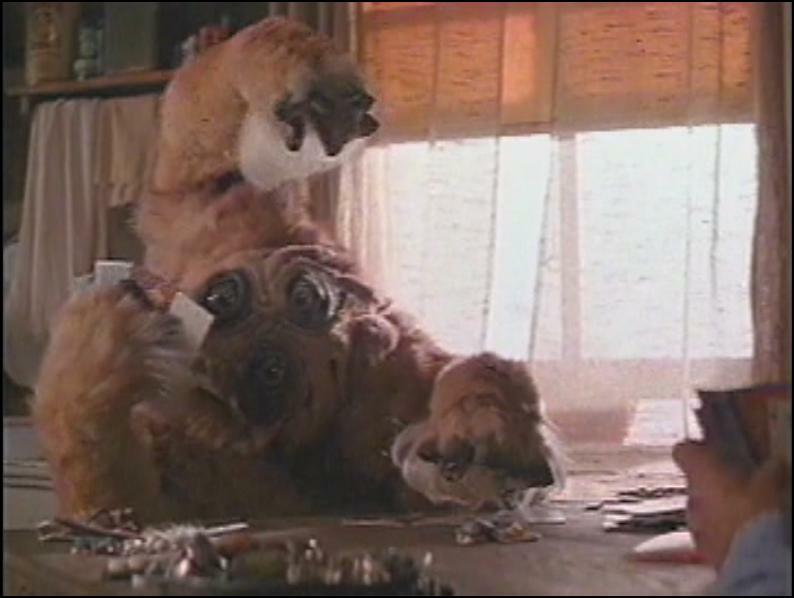 The teen love story is actually kind of sweet, but all the E.T. ripoff comedy antics are just painful.